The above introduces the theme for the 5th Singapore International Photography Festival (SIPF) 2016. 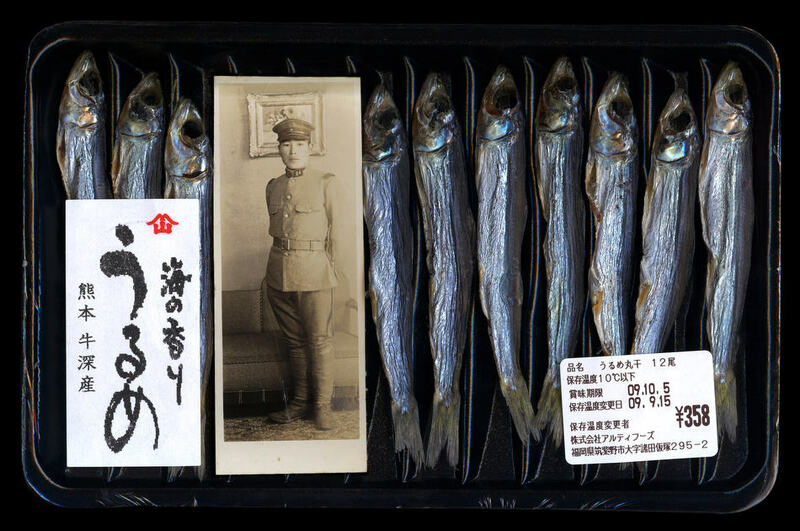 This year’s festival aims to examine the nature of photographs as documentation of events, occasions, people and personal memories, SIPF Festival Director Lee Gim Lay explains. An apt and timely theme considering today’s mass image-making and distribution. Some even muse that the many images we share on social media is an archive that is, in fact, an obituary of our own making. 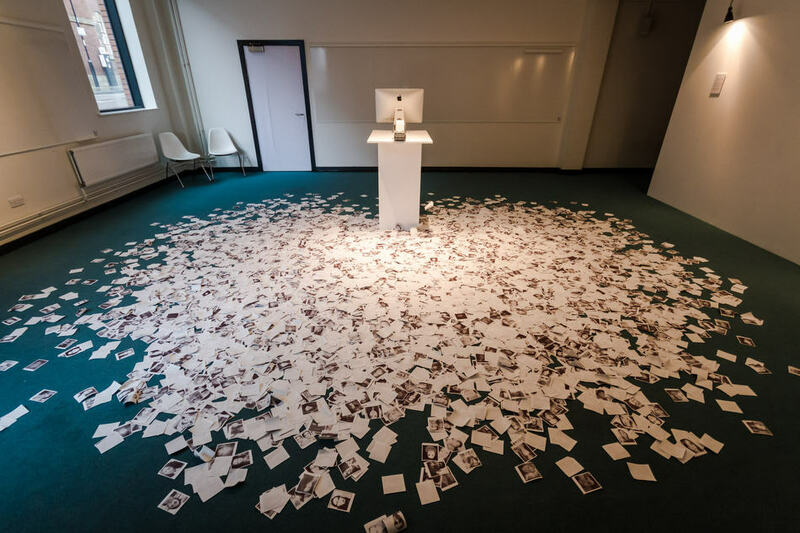 Last week saw the Southeast Asian debut exhibition of WITNESS: The Archive of Cultural Revolution by Li Zhensheng 李振盛 at The Artshouse by the festival. We had an in-depth interview with Li about his incredible archive before the opening and coincidently on Mao Zedong’s 40th death anniversary. The interview is currently being transcribed and will be posted shortly. In many ways, an archive is passive and a good, lasting one never ends. The archiver, curator or photographer, creates an entry point on intervention, and an audience finds their own exits. And the archive has multiple entry points and exits. Consider Beijing Silvermine, by Thomas Sauvin as a most basic case in point. Hand-colored (featured below) is but one of many interventions. Until Death Do Us Part, his strange little cigarette box photobook, is now a collectible. Malaysian curator Wong Hoy Cheong provides a perspective in UNPACK-REPACK: Archiving & Staging Ismail Hashim. The 5th Singapore International Photography Festival will officially open on 7th October 2016 with The Archive as Conversation at the National Library. I am most honoured to have my Singapore on Public Notice (2011–2016) be part of the group exhibition alongside eight other artists. The Archive as Conversation continues as apparatuses, dialogues and new & old mediums in the form of revisiting old photo studio images, installations, photo prints, videos and conceptual narratives by nine artists. The exhibition will be presented in an arena of shipping containers at the Open Plaza of the National Library Building. Featured artists include Angki Purbandono (Indonesia), Kevin WY Lee (Singapore), Miti Ruangkritya (Thailand), Robert Zhao Renhui (Singapore), Thomas Sauvin & Lei Lei (France & China), Tom Stayte (UK), Tomasz Gudzowaty (Poland), and Zakaria Zainal (Singapore). Two Folders From Fukuoka was created during Angki Purbando’s artist-in-residence in Fukuoka, Japan. At his residency, Purbando explored his photography skills by specifically “taking portraits” of the Japanese culture and carried out various artist investigations into Japanese art. During his time in Fukuoka, Purbando visited a secondhand shopping district to look for inspirations and found interesting objects, met various Japanese artists and worked with them as well as researched on the different kinds of Japanese food. With his explorations, he created Two Folders From Fukuoka. Angki Purbandono (b. 1971, Indonesia) creates his photographic images by using the scanner instead of a camera, through the technique ‘scanography’. Known for his quirky and playful configurations of found objects, toy figurines and food items, Purbandono uses memory as a stimulant and makes found objects metaphors for memory. His objects look symbolic and beautiful because he believes beauty is essential to art. Purbandono is also a founding member of Ruang MES 56 (2002) and Prison Art Programs (PAPs) (2013). From 2014 to date, he has also involved in the study of marijuana at the Yayasan Sativa Nusantara. He currently lives and works in Yogyakarta, Indonesia. Singapore on Public Notice is a collection of notices put up in public spaces in Singapore. The collection is a survey of sentiments and vernacular. The notices depict a story of this small Southeast Asian city-state, as scripted by its people – a tale of comedy and tragedy, mystery and miracle, heroes and villains, thieves and lovers, politics and piety. The work is on-going and now includes a crowd-sourced component with hashtag #publicnoticesg contributions from the public. Kevin WY Lee (b. 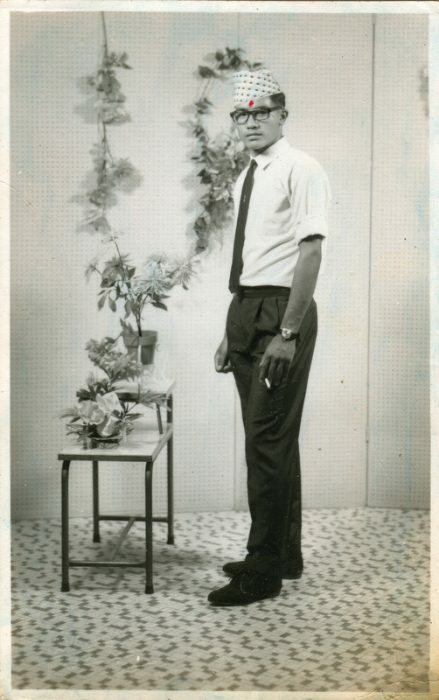 1973, Fiji/Singapore) is a photographer and creative director based in Singapore. He participates actively in photography and art across the region as a practitioner, curator, producer and editor. In 2010, he founded Invisible Photographer Asia (IPA), a leading platform for Photography & Visual Arts in Asia. In his own practice, Lee is interested in Singapore, her history and modern condition. A broader canvas and interest lie in mortality, and ironically, how people cope with the finiteness of being mortal. Lee has been a curator and nominator for various festivals and programs, including the Angkor Photo Festival, Prix Pictet Award and PhotoQuai Biennale. He has also served as a jury for international competitions including the Feature Shoot Emerging Photography Awards, Kuala Lumpur International Photoawards and Singapore Creative Circle Awards. Most recently, Kevin authored and published a book of photographs titled ‘Suddenly The Grass Became Greener’. ‘Thai Politics’ is an ongoing series developed from the first major protest in Bangkok since 2006. Whilst exploring the differing political attitudes in Bangkok, the project also examines photography within an image rich world. Punctuating each addition to the series is not only a different dimension to people’s political views and behaviours, but also a different approach to how they are captured and presented. This includes curating images found across social media (Thai Politics no. 2 and 4) to the more traditional approach of digital and film photography (Thai politics no.1, 3 and 5). Miti Ruangkritya (b.1981, Thailand) is a Thai-based image maker whose work has been exhibited through international exhibitions and festivals. Some of his highlights include, being the Selected Winner by The Magenta Foundation for Emerging Photographers (UK), winning the Portfolio Reviewers Award at FORMAT Festival, as well as solo exhibitions at 2902 Gallery (Singapore), the Istituto Culturale Internazionale (Italy) and Kathmandu Photo Gallery (Bangkok). Ruangkritya has exhibited in photography festivals including FORMAT Festival, Noorderlicht Photofestival, Rencontres d’Arles and Singapore International Photography Festival. His portfolio has also been featured in the British Journal of Photography, Le Monde and Magazine de l’air. In 2016, he collaborated with Christina Kubisch – a German composer, performance artist, professor and flautist – on a visual and sound project a Bangkok Art and Cultural Centre (Thailand). In the same year, he also had his solo exhibition, Dream Property, showing at Bangkok CityCity Gallery (Thailand). 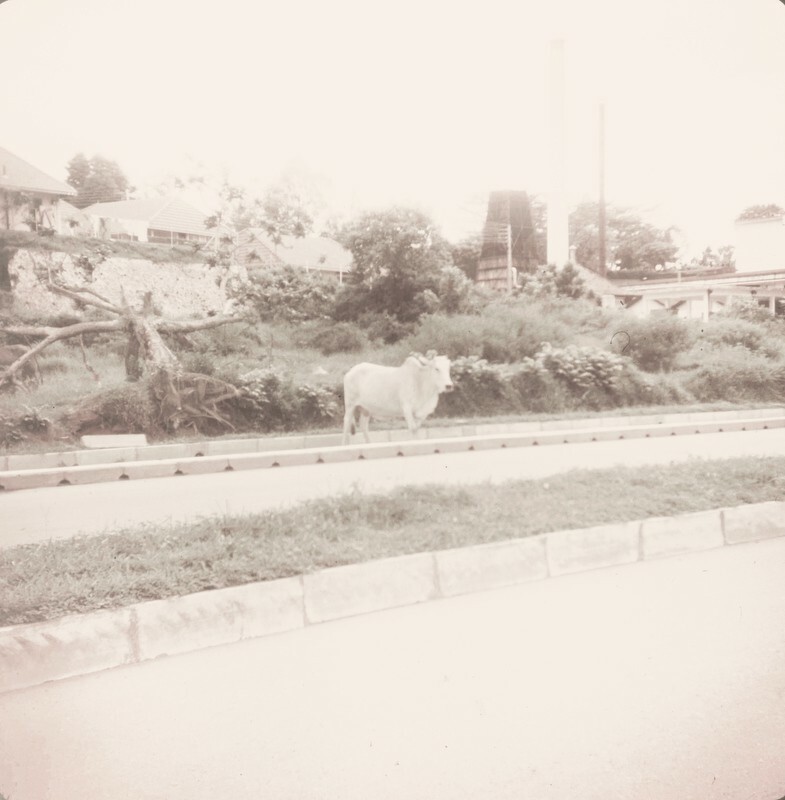 The Dutronquoy Albums feature images of Singapore produced by a traveler called Brad Dutronquoy. Dutronquoy visited Singapore every year between 1942 to 1995, and he kept to the same itinerary in every visit. 34 albums attributed to him have been recovered. Robert Zhao Renhui (b. 1983, Singapore) received his Bachelor’s and Master’s degrees in Photography from Camberwell College of Arts and the London College of Communication respectively. His work addresses man’s relationship with nature, and related issues of morality and ethics, paying close attention to how our attitudes and opinions shape our assumptions about the natural world. He currently lives and works in Singapore. 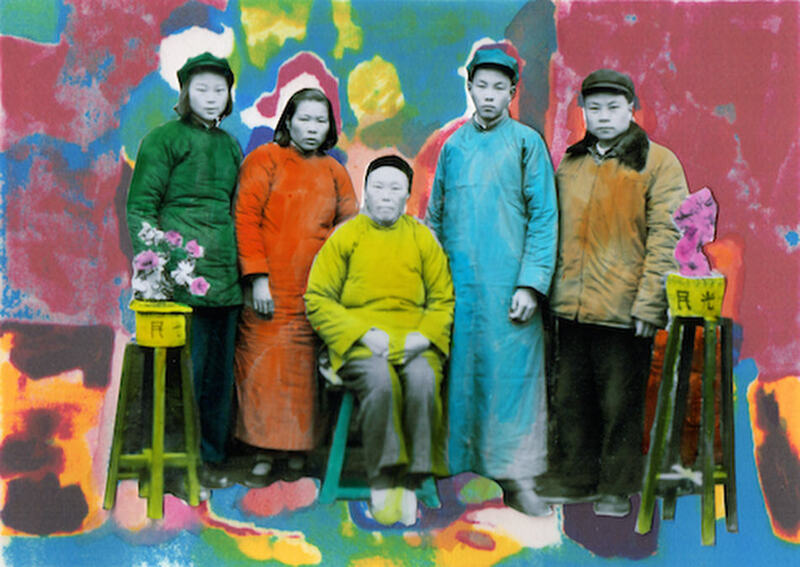 In 2013, we collected a number of black-and-white photos from Chinese flea markets and imagined that all of them belonged to one fictional Chinese person. Through rendering, collage, and a cyclical process of hand coloring, scanning, and printing, we created connections among the photos. We spent two years repeating this process. These 1168 hand-colored photos invoke the passage of time, injecting life into the imaginary protagonist as he ventures through time and space. Thomas Sauvin is a French photography collector and artist who lives between Paris and Beijing. Sauvin’s project, Beijing Silvermine, an archive of half a million negatives salvaged over the years from a recycling plant on the edge of Beijing, has been presented at photography festivals including the Singapore International Photo Festival (2012), FORMAT Photo Festival (2013), Festival Images Vevey (2014) and Lianzhou Foto Festival (2013), China’s premier international photography festival, where it received New Photography Award of the Year. The project was also exhibited at 4A Centre for Contemporary Asian Art (Australia), Central Academy of Fine Art (China), Chicago Museum of Contemporary Photography (United States), the Chinese Culture Center of San Francisco (United States), Galerie Paris-Beijing (France), SF Camerawork (United States) and The Salt Yard (Hong Kong). Sauvin’s Silvermine, a limited edition five-album set of photographs from his archive, was shortlisted for the The Paris Photo Aperture Foundation PhotoBook Awards 2013 and was selected by renowned English photographer Martin Parr, as one of the Best Photobooks of the Year for the British Journal of Photography. Born in Nanchang, Jiangxi Province, Lei Lei (b. 1985, China) is an up-and-coming Chinese multimedia, animation artist who got his hands on graphic design, illustration, cartoon, graffiti and music. In 2009, he received his Master’s Degree in Animation from Tsinghua University. In 2010, his film, This is LOVE, was shown at the Ottawa International Animation Festival and was awarded the 2010 Best Narrative Short. In 2013, his film, Recycled, was selected by Annecy International Animated Film Festival and Market and was the Winner of the Grand Prix short non-narrative at Holland International Animation Film Festival. In 2014, he was a jury member at animation festivals in Zagreb and Holland. In the same year, he also won the 2014 Asian Cultural Council Grant. #selfie examines how image sharing and the Internet have changed the role of photography in the digital age. The process of creating and disseminating imagery has fundamentally changed in the new context provided by digital photography, smartphones and more recently the ‘selfie’. To create this work, Stayte commissioned a bespoke computer software, which accesses the publicly available Instagram API and appropriates imagery tagged #selfie immediately after it is published. A custom facial recognition algorithm then scans the downloaded images to identify instances of the now ubiquitous single person, arms length portrait. 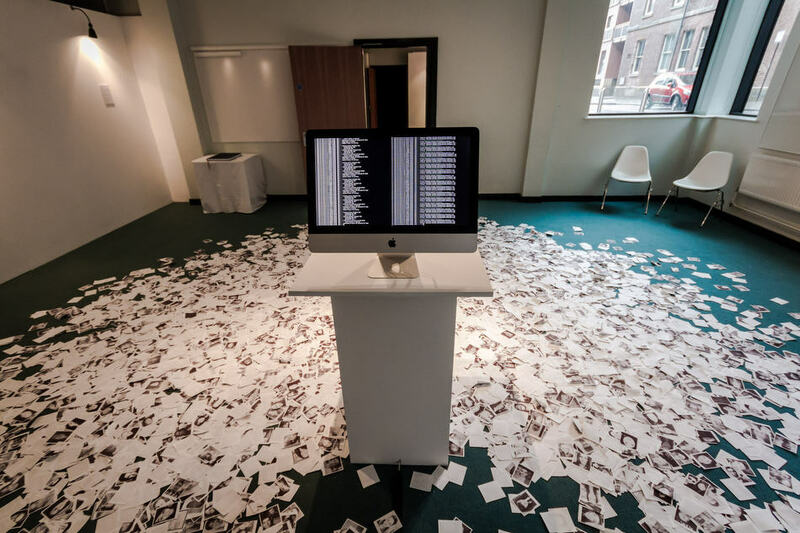 These images are printed using a thermal receipt printer, one every twelve seconds and allowed to fall to the floor and accumulate during the exhibition. Through physical transformation and defamiliarisation of this seemingly harmless content, #selfie highlights our readiness to trust the unknown and reveals its darker side; our unconscious participation in self-surveillance and the notional freedom it brings. Living and working in London, England, Tom Stayte’s (b.1988, United Kingdom) creative practice provides commentary on the role of the individual in post digital culture, presenting a view of a world in transition. Through appropriated photography, installations and books, he gives physical form to our unavoidable interactions with digital entities. Now omnipresent in our lives, Stayte provides perspective on how these enormous structures affect our sense of identity. His work reflects on our inability to comprehend scale, our willingness to trust what we don’t understand and how our desire to be unique ultimately only reveals our similarities. 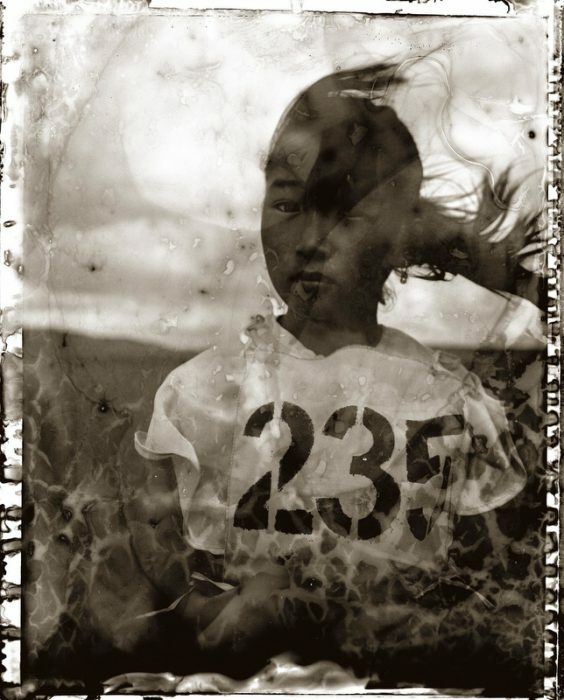 Polaroid Type 55 film, which produced instant positive prints in addition to negatives, was a cult favorite of photographers using large-format cameras. Until 2008, when Polaroid announced it would cease production of all instant films. Imperfect, over or underexposed, scratched and sometimes barely legible, the positive prints were usually discarded or kept as rough proofs to aid the selection of negatives to print. Here, they stand as works of art all their own. The practice of examining the instant contact sheets right after shooting a photo made me extra sensitive to the hidden potential of these yet undeveloped images. And I also realised that imperfection is an essential part of photography – a price for faithfulness to the nature of the medium in a sense, a haphazard interpretation of a moment. The contact proofs are literally proof of that. Tomasz Gudzowaty (b.1971, Poland) is a Polish documentary, portrait and art photographer, who gained international recognition through numerous publications and awards, most notably – in World Press Photo in which he succeeded nine times. He is also a multiple winner or finalist of such competitions including, the Black & White Spider Awards, International Photography Awards, National Portrait Gallery Taylor Wessing Photographic Portrait Prize, NPPA Best of Photojournalism and the Pictures of the Year International. In recognition of his achievements, Gudzowaty received high honors from the state and national organisations in Poland, including the Knight’s Cross of the Order of Polonia Restituta, awarded by the President of Poland in 2000, the Award in Visual Arts from the Polish Society of Authors and Composers ZAIKS in 2012, and the Gold Olympic Laurel in Photography from the Polish Olympic Committee in 2013. According to one survey, Tomasz Gudzowaty is the best known name in contemporary Polish photography. In over six decades, the visual language of the Singapore Gurkhas remains the same. These men from Nepal – famed for the loyalty and fearlessness – are recognised in uniform with their trademark broad-rimmed khaki hat. Since 1949, the Singapore Gurkha Contingent has been established in the Lion City (Kota Singa) as they live quietly among us. A visibly invisible community, their role was thrust into prominence during the communal riots in the 1950s & 60s – keeping the peace as an impartial force. Yet, photographs, or visual representations, of the Gurkhas by the state and its organs, as well as the media depict them the same way as their boilerplate introductions: stern, steely and singular. These personal photographs, scanned and archived from one retired Gurkha to another, revealed how important it was for these migrant sons to document their time here in Singapore. Titled Singapore Gurkha Photography Museum, it is the first photographic archive of the Singapore Gurkha community displayed publicly online. These old photographs span from the 1950s till today – with a focus on the 1950s, 60s and 70s. Zakaria Zainal was born and raised in Singapore in 1985, as a Malay-Muslim son in a Chinese dominated society. He makes meaning of the world through his photographs. Enticed by the visceral changes of a former monarchy’s transition to a federal republic in Nepal, he first picked up his camera. His first monograph, Our Gurkhas: Singapore Through Their Eyes is an anthology of portraits and anecdotes of the retired Singapore Gurkhas as they reminisce about life in the Lion City, from the 1950s till today. 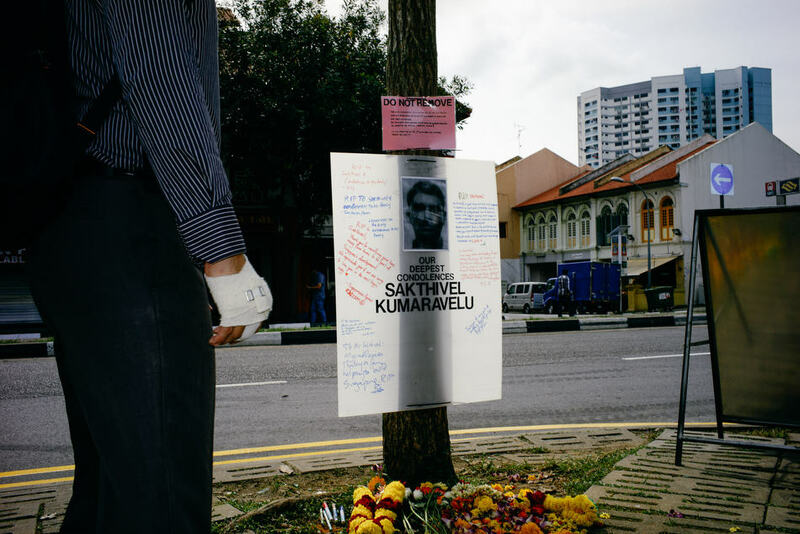 His photographs and stories have appeared in various publications both in Singapore and Asia. He graduated from the NTU’s School of Communication, where he also teaches campus journalism. While he continues making pictures, Zakaria has been moving away from traditional documentary work to photographing closer to home – or even closer to his heart. More information and exhibitions on the SIPF 2016 Website.